New Local Source Brings a new kind of Business to the Tristate Area!!! Eastland Mall is proud to welcome our new business partners, Red Brush Outdoor. 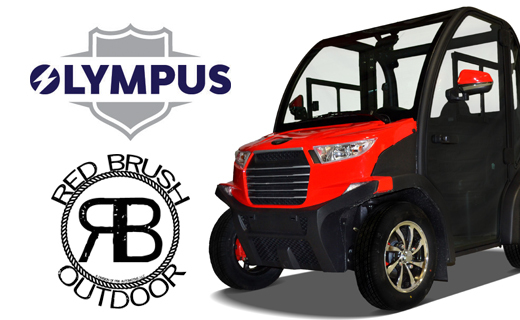 Locally owned and operated for over 10 years, Red Brush Outdoor has become the new local leaders for fully street legal golf carts, low speed vehicles, as well as, security vehicles and shuttle buses. Red Brush Outdoor is displaying some of their products across from Sephora in the Macy's wing during the months of February, March and April. They will have staff onsite that will be happy to assist with any questions that you might have. For more information on Red Brush Outdoor call (888) 668-3902 or go online at www.RedBrushOutdoor.com.